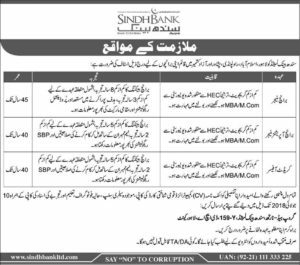 Application are invited for following posts in Sindh Bank Limited Jobs for following Cities Lahore, Islamabad, Rawalpindi & Peshawar. 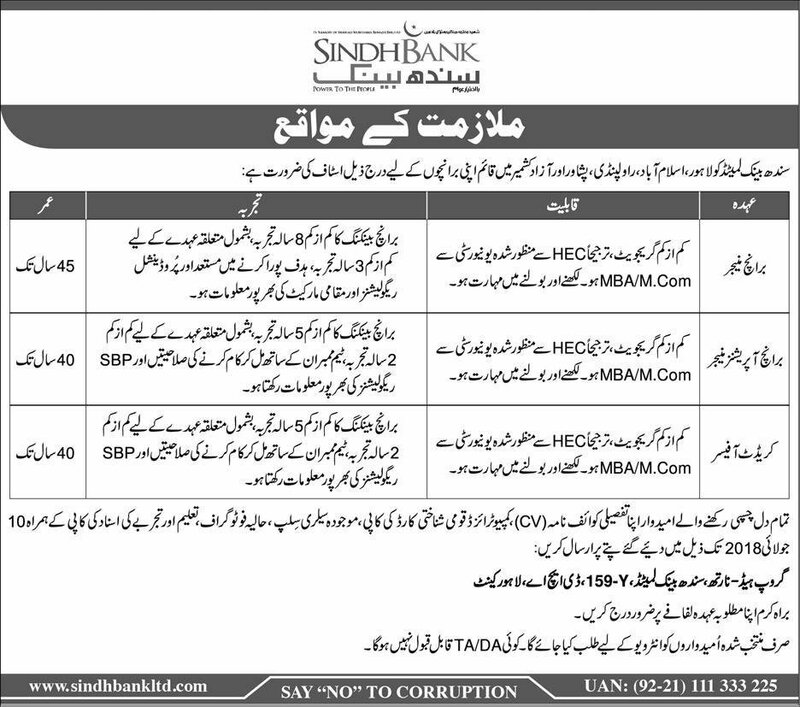 How to apply in Sindh Bank Ltd? Please see job Advertisement below for Online Apply, relevant experience, qualification & age limit information.